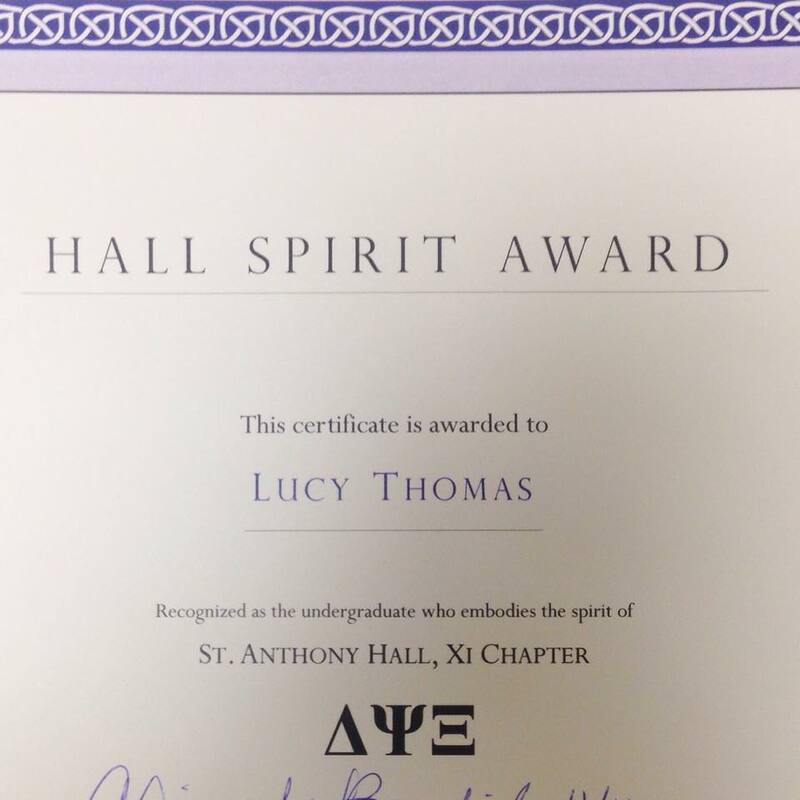 I won the Grahame Wood Hall Spirit Award! My siblings at the Hall presented me with the award last night at Swing Out, it changed the vibe of my whole week. Swing Out is an event which brings together old and new members of St Anthony Hall and creates a space for us to appreciate the fraternity that has helped us all grow throughout our college years and beyond. It was so lovely to hear stories of people’s time at UNC, it is funny how things don’t really change that much. I am knackered! This weekend long event has been a barrage of fun and celebrations but though my spirit is bubbling I am now so sleepy. I have never had anyone commend my spirit and it feels good, I am lucky to have friends that recognise the love I have for my new found, life-long friends. This weekend has only solidified my love and determination to continue the path that the Hall has set me on. Stay tuned for more, when I can keep my eyes open! I am happy, free and surrounded by creative people. What more could be better?